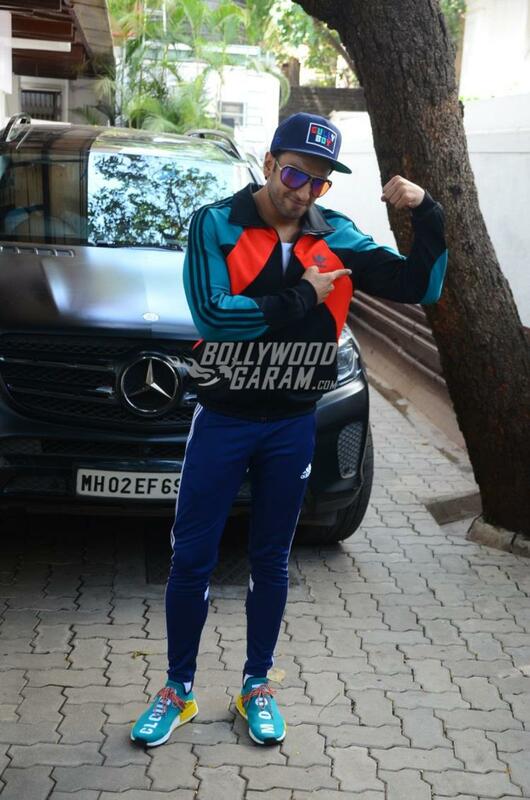 Ranveer Singh had recently injured his shoulder and is now on the road to recovery. The actor was snapped post a physiotherapy session in Mumbai on April 23, 2018. The Padmaavat actor was all smiles for the paparazzi as he was snapped outfit the clinic. Ranveer was generous for the cameras as he smiled and poses for them. The actor was seen in a white t-shirt, blue track pants and a colorful jacket with a cap. 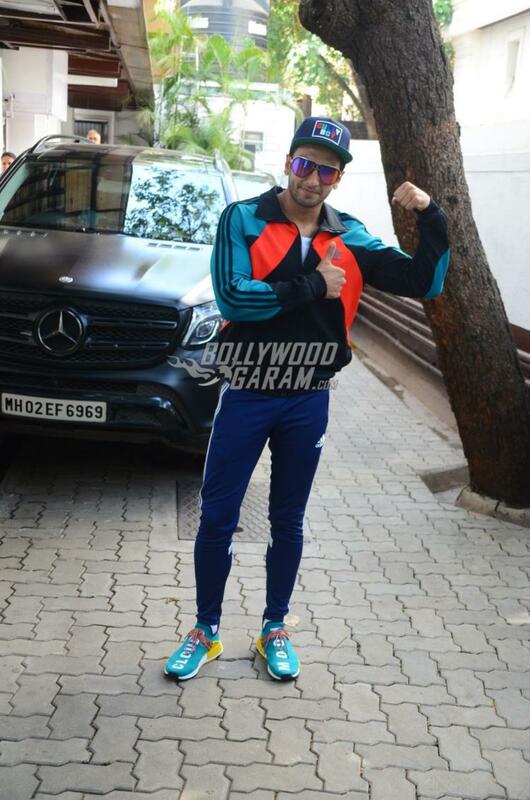 Ranveer was seen showing off his biceps and showed a thumbs up, conveying that he is doing well. Singh recently wrapped filming for his upcoming film Gully Boy which also stars Alia Bhatt. The actor will be seen playing the role of a rapper and this will be the first time the audience will be able to see Alia and Ranveer sharing the screen space. 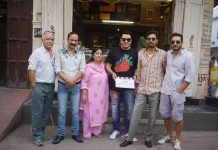 The film is helmed by Zoya Akhtar and will be released in theatres on February 14, 2019. Gully Boy is inspired by the story of the rappers Divine and Naved, who shot to fame with their desi rap.